GET READY! 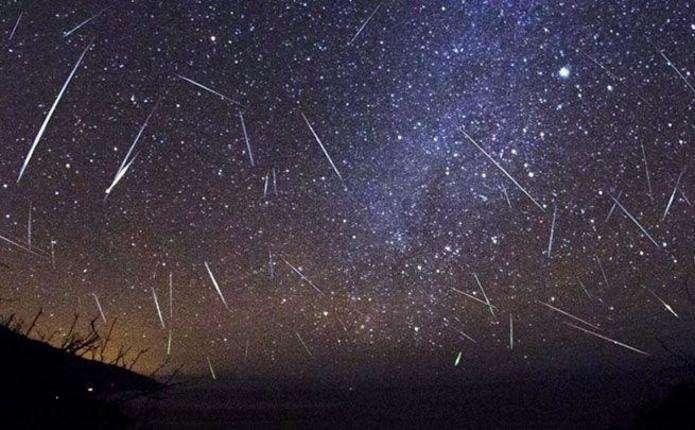 THE BRIGHTEST METEOR SHOWER WILL PEAK NEXT WEEK! 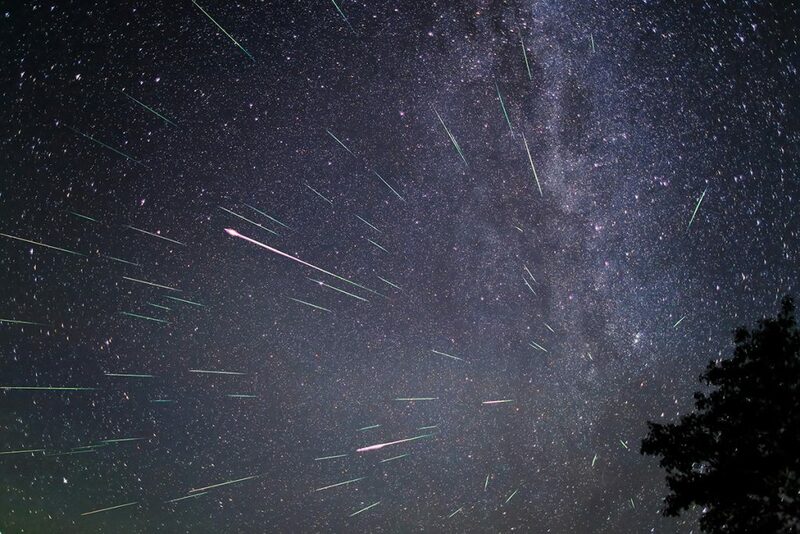 It’s that time of year again: Our world is hurtling through the debris left behind by the comet 109P/Swift-Tuttle, meaning we get another dose of the Perseids, those gorgeous meteors that appear to radiate from the constellation Perseus. So, when do they peak, and what time of day is best to be able to see them? The peak will occur on the nights of August 11 and 12. Although they blaze through the atmosphere all the time throughout that period, you’ll only really be able to see them when the Sun has been metaphorically extinguished by the horizon. 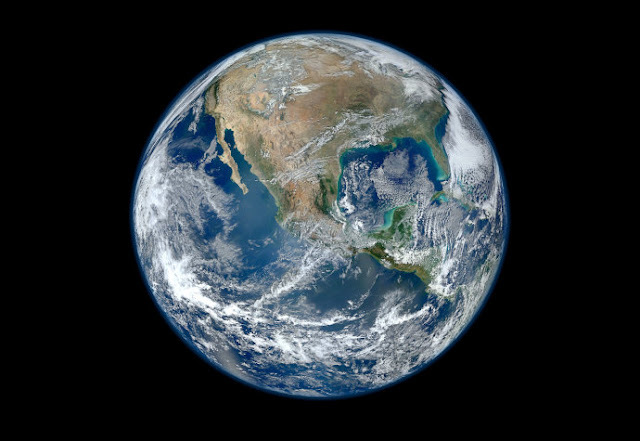 According to Space.com, you’ll be able to see 60-70 meteors per hour on average, but if you’re lucky, there may be around 150-200 per hour. Just go outside, hope there are no clouds, and look just above the horizon. Technically, you’ll be able to see Perseids anytime from now (well, from July 17 actually) to August 24, which is the total time we’ll be passing through the cloud of debris belonging to Swift-Tuttle. The peak coincides with our passage through the densest part of the cloud. 2018 appears to be a particularly good year for Perseids purveyors. During the peak, the Moon – which will be a slither of a crescent – will set before midnight, which should allow you to see the streaking space rocks disintegrating in our atmosphere with ease. As noted by EarthSky, you’ll be able to spot the Delta Aquariid meteor show in the mix too. Active from early/mid-July to late-August, they’re a bit slower, fainter, and less numerous than the Perseids, but you can still see them radiating from the constellation Aquarius in the night sky. They’re best viewed in the Southern Hemisphere, or as far south as you can get in the Northern Hemisphere. It’s not actually clear where these meteors originate from, but NASA suggests that it’s from comet 96P/Machholz, which orbits the Sun 33 times more often than Swift-Tuttle – once every five years to 109P’s 133-year orbital period. Another underrated tip for meteor shower viewing is to sit outside in your chosen, dark-as-possible viewing area for 30 minutes to allow your eyes to adjust. Although it’s a little extreme, if you happen to be climbing a fairly decent-sized mountain around this time, you’ll get the treat of your life: I’ve never seen anything quite like the Perseids meteor show while scaling Mount Fuji, with the sky the deepest color of black and the cloud line far below me. Oh, and just in case you’re wondering: A meteoroid is a small chunk of rocky debris going through space. When it starts to burn up in the atmosphere, it’s a meteor. If some survive and it impacts the ground, it’s a meteorite.